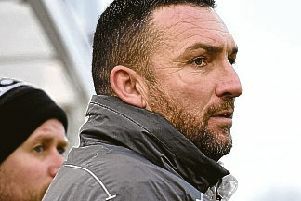 Joint-manager Martyn Bunce and assistant Terry Madigan have left Skegness Town. The Lilywhites confirmed the news on Twitter this evening, stating: “It is with regret that we announce that Martyn Bunce and Terry Madigan have stepped down as Joint First Team Manager and Assistant with immediate effect. Bunce and Madigan arrived in the summer to oversee the club’s step up to the NCEL Division One after previous boss Nick Chapman stepped down. Nathan Collins has been acting as joint-manager since arriving last year.